A new animated short, Big Chicken Small Movie, pays homage to Marietta, GA’s beloved 56-foot-tall steel fowl. In the film, a young boy who’s a bit of an outcast finds a friend in the gigantic steel chicken, and they go on an adventure in North Georgia. For KFC franchisee owner and VP of marketing for KBP Foods Anthony Gianino, the film marks the culmination of an exciting project. The beloved “Big Chicken” KFC restaurant reopened to the public May 11 following a $2.2 million renovation. From the beginning, the intention was to make this film as Atlanta-focused as possible. The creative team from Wieden+Kennedy Portland, KFC’s creative agency, is from the Atlanta-area, and Atlanta-based animation studio Awesome Inc was tapped to bring the short film to life. 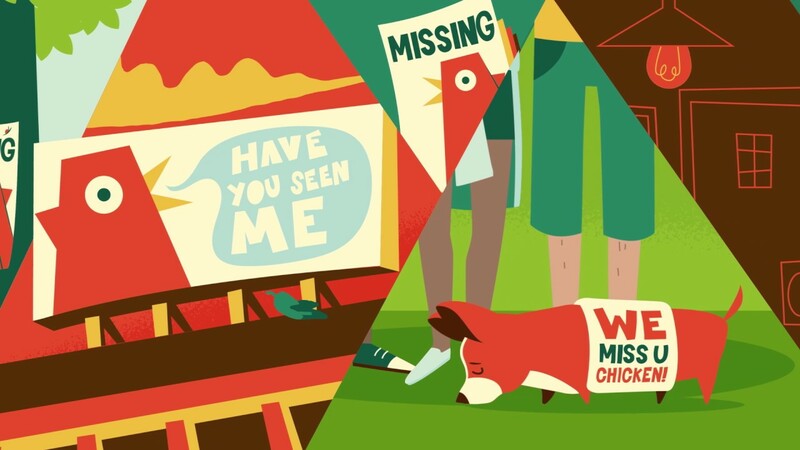 For Awesome Inc, known for its TV and commercial work, Big Chicken Small Movie was the perfect blend of interests and the opportunity to honor the local monument in a charming, design-driven tale of friendship that launched on Sunday, August 6: National Friendship Day. “I remember the first time I saw the big chicken. I was driving around Marietta doing errands and wham! There it was. I thought it was so amazing that I stopped to take a photo and post to my Instagram,” Awesome’s design director, Craig Sheldon, shared. “It’s been really fun and an honor to work on a short revolving around this iconic piece of Atlanta history. Wieden+Kennedy had a really inspiring vision for the project and it’s been a joy collaborating with them throughout the process."